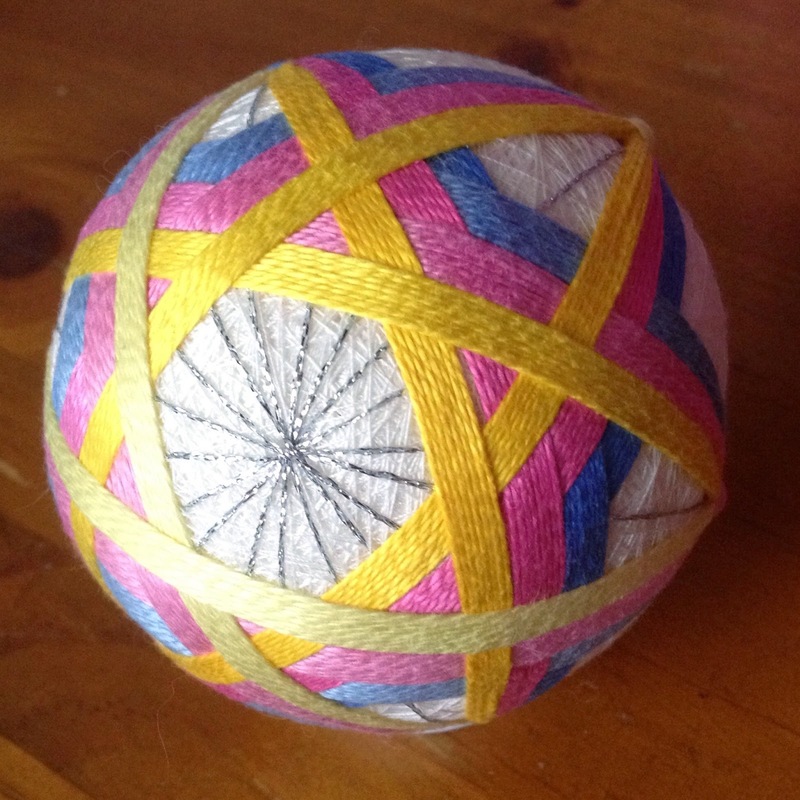 A few posts back I shared two wrapped band temari I had stitched. I was planning to do the black base one again on a S10, well that didn't happen because I accidentally marked a S6 again. So I decided to mix it up again by changing the way the bands were laid out. This time I again laid two bands in each colour but the difference was that I laid them running in the same direction on two sets of lines next to each other instead of in a V on one set of lines. I imagined a spiral look to it with all the threads moving in the same direction, probably should have done just one row in each of the nine shades, maybe it would have made the spiral work better. As you can see I used the same colours as the last temari but this time on a cream coloured base. I used the same amount of thread on this temari which means there is still about a third of a skein left in these shades for my next go. Don't you think this temari reminds you of candy or icecream? Maybe it is just me but I ate a bunch of Peppermints the day after I stitched this one... Maybe it was just because I found a bag of peppermints.